Some of his assessments are a bit too optimistic or pessimistic by hindsight, however certain points he made, e.g. on how writers should deal with politics, power and truth, though arguably flawed, could still be relevant today. And his critique of the selective "antiimperialists" and the partisan reporting on wars arguably still hold true to this day. 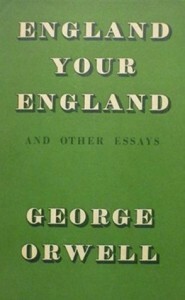 Also I wonder how much of his characterization of "Englishness" remains true today.